I thought that if I quietly started up the blog again it would go unnoticed. That I could spend some time trying to sort out what I was doing with this blog. That I could remember and relearn how to do this. Get my head around widgets again. And I didn’t realise that there would have been so many changes to WordPress while I have been absent! Then I could concentrate on producing interesting content. I could start with logging all the projects I have made since I last blogged and then develop some new ones. And when I was happy with the way it was going I could tell some friends about it, connect it to FB, and go on from there. But I was surprised to find I had a reader already. Thank you for your comments Penny. And today I will show you another one. 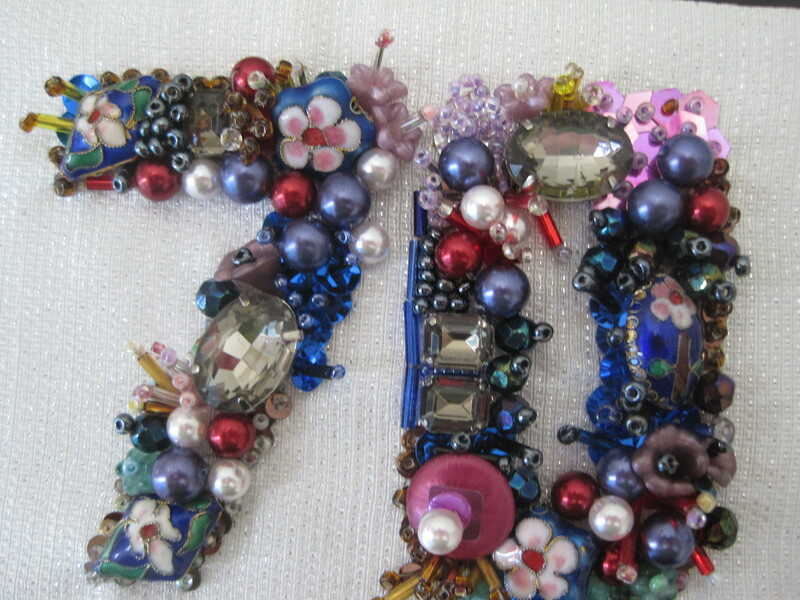 I made this for a rather elaborate 70th birthday card for my sister. Yes it is a bit different. I still have my original notes from William with my password written there. Best way to figure it out is just give it a go. I hope you do start up again – and I always loved your story of the trip with your friend to Jervis and almost being target practice. Am I remembering correctly?